Having issues with your Walthers Cornerstone turntable? You are not alone. We have the solution! Did you know that you can have two keypads connected to one controller? We have a splitter board that mounts on back of the keypad that allows this. This can be very helpful for turntables that are on a peninsula or one that needs to be operated from multiple positions. 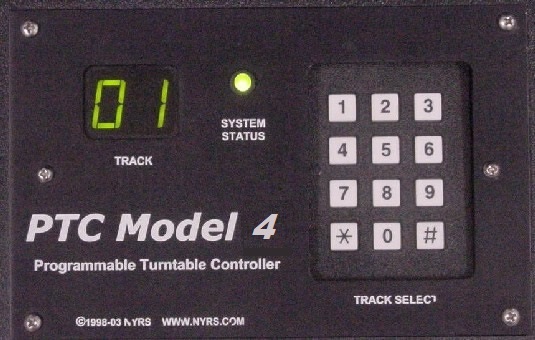 You can even have two keypads and the DCC module all controlling one turntable. Here is a drawing with the connections for two keypads and the dcc module. 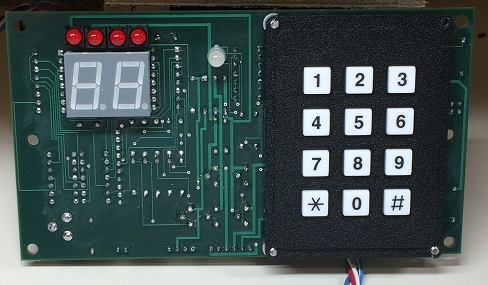 We now offer a software upgrade to existing keypad units. Track editing - In the past if you had one track that has slightly moved or the initial programming was incorrect you were forced to re-program the entire turntable. . Some customers have 30 or more tracks and this can be very time consuming. With the new software version you can actually edit a track position to move it a few clicks this way or that. Our wood and fiber based layouts are nearly living beasts and things change, at least on mine they do and being able to move one track is huge! We can't offer inserting or deleting of a track but you can move existing track settings. To edit a track setting, rotate the bridge to the track in question. Hit #00#. When the display indicates F-, enter a 5. At this point, hit the '#' sign to advance a click or the '*' to retreat a few clicks, then use the '*' key to advance to where you want the track to be. Hit any key to exit the edit mode and you are done. Track redirection - How many times have to told the bridge to go to one setting by mistake and have to wait until it gets there to tell it to go to the correct location? Takes a while doesn't it? Now you can stop the bridge and tell it to go to another location. You simply hit any keypad button as if doing an emergency stop. Hit '*' to continue to the original location, or '#' to enter a new track number. 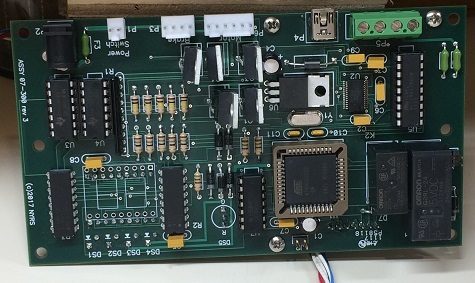 This upgrade will cost $45 plus return shipping and is compatible with our DCC adapter board and we can add it to any keypad system. All new systems will have these features included. All non-warrantly return / system checks will have a $25 minimum fee, plus shipping. Up to now I have basically done these for the price of shipping but can't afford to do that any longer. A note on returns, 99% of the units I receive have nothing wrong with them. Please read the manual closely. Check your connections. Check the motor connector to ensure all pins are in the connector..